Jeff Cohen is the CEO of CampusBooks.com. He has worked in the textbook industry for the past 7 years. His previous company was MBS Textbook Exchange where he worked in advertising and promotions and later was promoted to General Manager of Textbooks.com. He is credited with the online marketing efforts such as their PPC campaign and wildly successful affiliate program which went from 0% of sales to 40% of sales in the first year alone. After joining Campusbooks.com in 2007 he was promoted to CEO in 2008 and is still currently growing the business. 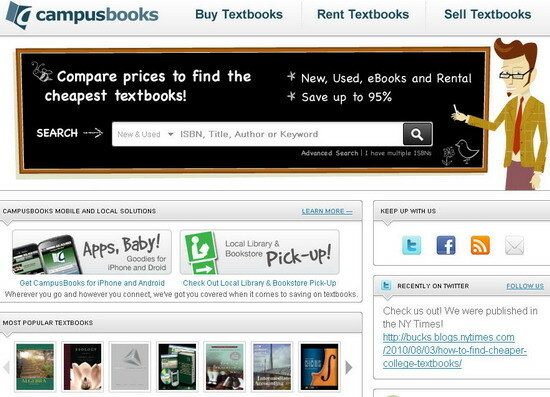 CampusBooks.com is one of the largest online textbook comparison shopping websites. In three brief years Jeff has grown the business from 12.5 million in pass through sales to 24 million; nearly doubling the revenue in 3 short years! 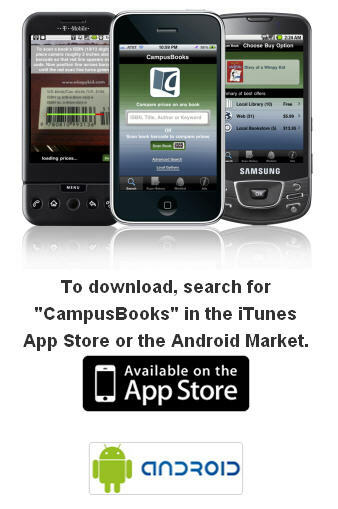 CampusBooks.com focuses on providing buyers and sellers transparency about their options in the textbook market. Cohen transformed Campusbooks from a price comparison website to a savings platform with the creation of a single strategy that allows the core technology to be accessed from your desk top, laptop, mobile device, Twitter or Facebooks. A buyer is provided a comprehensive price comparison search so that they can buy textbooks as cheap as possible (including shipping!). You have been in the text book industry for the past 7 years now. You’ve worked at two of the largest players in the space and have personally played a large role in their growth and success. Can you tell us the story of how you entered this industry and then joined Textbooks.com? After moving to Missouri in 2003 I responded to a newspaper ad for a Marketing position with MBS Textbook Exchange. My first position was challenging because marketing had been done by different divisions within the organization and my responsibility was to bring all efforts into one department. Within two and half years we had the marketing running well and were innovating new ways to reach to different audiences we were charged with speaking to. In early 2007 management internally recruited me to lead the re-launch of Textbooks. The website had been doormat for almost 8 years so we were really starting from scratch. My first job was to secure a core team to execute the launch. Combining my textbook experience with their web experience we were able to take the site from concept to launch in less than 9 months! Was Textbooks.com the first time you ran an affiliate/partner program? What made it so successful? What were the biggest problems you ran into when running the program? When I started I had no clue what an affiliate was or how the program worked. After doing research it was clear that a cost per acquisition model was the perfect balance our management was looking for as it afforded us the security of knowing we would only pay commission if the sale occurred. The biggest problem in getting the program running was matching internal needs with an outside affiliate system that was “trusted” in the industry. Our success was really driving from our brand name and ability to target the top affiliate websites in the textbook space. You seemed to have easily mastered internet marketing by the time you joined CampusBooks.com. Could you tell us the story of how you made this transition and what you’re doing differently this time? While at Textbooks.com I was always interested in the affiliate lifestyle. I noticed a lot of things that affiliates were not doing right and opportunities in the market they were missing. After leaving Textbooks.com to try a few different things in the Internet I approached the owner of Campusbooks with a business plan that would double his sales in three years. I basically told him that I would either execute the plan myself, with my own sites or take his website to the next level. To effectively do what I wanted using his volume as a base would make it easier and faster for me to excute. You don’t talk about social media but you’ve integrated it quite well into your site. How big of a role does social media play in your marketing strategy? How do you get value out of your social media efforts? Social Media is the core to how we market our platform. See Campusbooks.com is the face but the real product is the back end technology. Our company is based on providing book/textbook price comparison however a users wishes to use it. We have integrated our website, iphone, android, twitter, facebook and our syndication network to work seamlessly with our technology. A users can use our iPhone app to scan a book barcode, use geo location and find not only the cheapest book online but the closest bookstore or library that may have the book. We built out our syndication (partner) network so that anyone who wants to promote book price comparison can easily integrate it into their website and use it to extend their own brand. This is all social media, it is not about driving users to be my fan, it is about making my tool something that everyone can use! What impresses me is you’re not just an ‘internet guy.’ You’ve managed brick and mortar aspects of these businesses with warehouses, inventory and such. The hottest area for startups these days has been web applications which often lack physical goods. This trend along with the trend towards openness and open source has been pushing the book industry in some interesting directions which have spawned Google Books, Amazon Kindle, iPad and more. You seem to be on board with this trend with CampusBooks.com. Do you think any of these new technologies and services will be a game-changer for textbooks in particular? How do you deal with this trend towards digital copies of things away from physical ones? Anything that saves students money is a game changer. Kids today will access information in different ways 5 or 10 years from now. The biggest game changer we have seen in the past three years has been rental. Textbook rental has effectively driven down the cost to borrow the book for the semester by applying and upfront discount to the student. In the past this savings has only been available online, this Fall 2010 we expect to see rental as a major player in the college bookstore. This is why we innovated and are the first, and only, textbook price comparison engine to include local bookstore inventory when users shop online or on their phone. The new local rental prices will make the store more competitive and offer a strong sales proposition to the student that they should consider. For fall 2010 we expect to have over 500 local bookstore prices and this list should grown each semester. You’ve taken an almost Google like role in the market as the source of information. In the long run, do you think the role of being the source for information is going to be the most important for many or most industries? Does Google pose a threat? If so, how do you deal with them? Google is everyone’s friend and threat. We learned as a company awhile ago the correct strategy is learn how to NOT depend on what Google gives you because it could be gone with the next algorithm change. Campusbooks is the source of information for textbook price comparison and that is exactly who we want to be. Different people, devices and websites can use that information how it best suites them to provide rich content and a powerful tool to their users. The internet changes and as a company we much change with it!